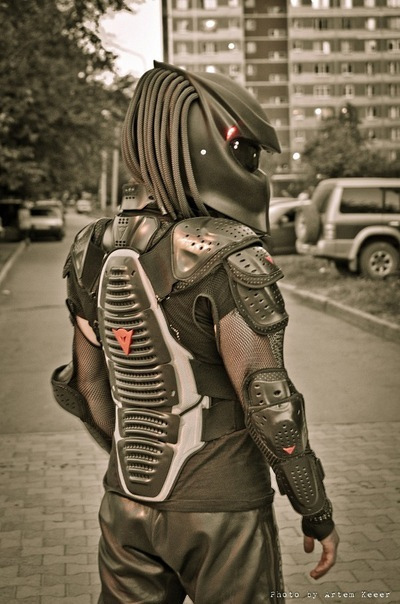 When Batman got a helmet it made Predator all jealous so he whined to NLO Moto, "WTF man? First he gets the higher budget movies and legitimate actors and then DC rejects my idea for a The Dark Knight v. Predator crossover film and now he gets a full line of motorcycle gear in his image too? Throw me a bone, dude!...and if you don't, I am going to pulverize all of yours." 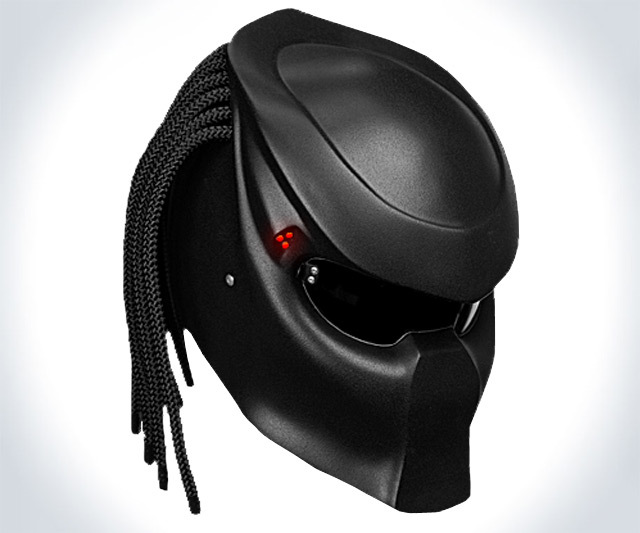 So here we have a Predator motorcycle helmet. But it's not DOT-approved* and is intended only as a novelty, so I guess it's more like a Predator hat. Batman wins again. 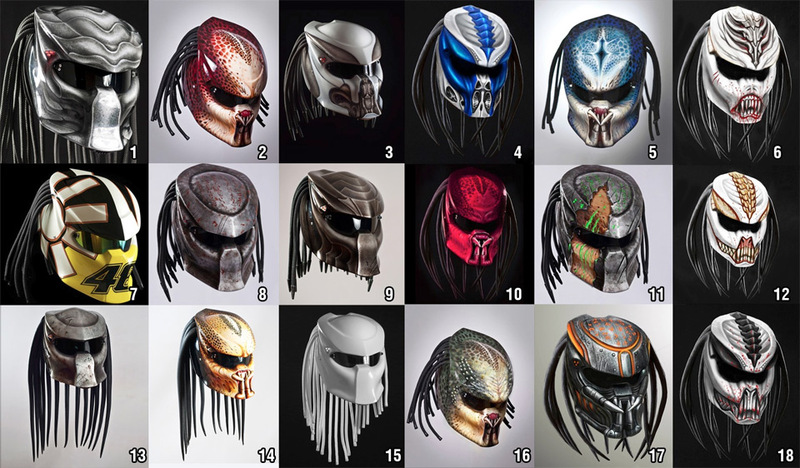 Predator helmets are based on certified IXS pieces and made of fiberglass, carbon fiber, and polycarbonate. 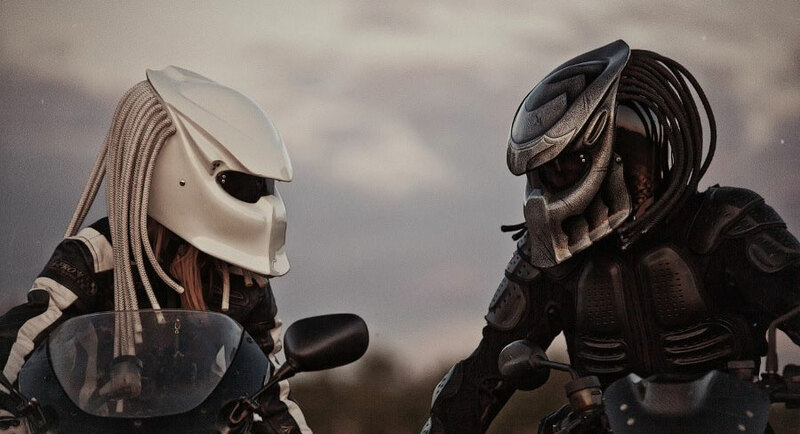 In addition to the basic helmet version featured, NLO Moto offers a bevy of upgrade and add-on options to personalize your beast, including airbrushing, carbon dreadlock spearheads, and canines. Suggested via Dude Product Tips by David S. Thanks, David. 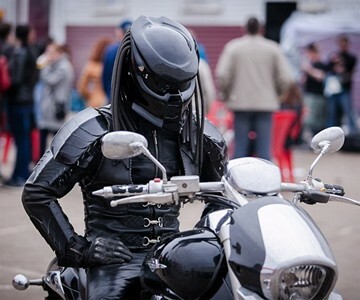 *September 2013 Update: The immense fanfare surrounding NLO Moto's release of their Predator motorcycle helmet apparently prompted the Russian company to develop a new model suitable for actual motorcycle riding (see featured photo above.) Now they also have versions 3.0 and 4.0 that are DOT and ECE 22.05 certified, have a 50% increase in field of vision, and "can be easily used on the roads of Earth planet." December 2013 Update: A video from an unsatisfied NLO Moto customer has recently surfaced here, which we would recommend checking out and taking into consideration prior to proceeding with a Predator Helmet purchase. While Dude endorses neither the quality of the helmet, nor the validity or authority of the video, we do support transparency in commerce, and educated buying decisions. Thanks to the Dude readers who contacted us, and shared the video link.